Starting off tomorrow, Tuesday, May 4 is Bike to Work Day. Groups will be riding into downtown Tampa and meeting at Indigo Coffee. Hosted by Tampa BayCycle, check out their website for more details! 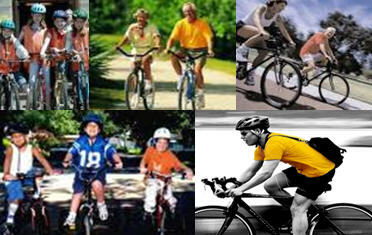 Next, this Saturday, May 8, will be a FREE Urban Safety Clinic and Ride from 9:30-11:00AM hosted by City Bike Tampa. The following Saturday and Tuesday will be Hands-On Basic Bicycle Maintenance Clinics (held from 9:30 to 11:00AM and 5:00-7:00PM respectively). The cost of each clinic is $25 per person paid to City Bike Tampa and includes a handy toolkit for your saddlebag and great for use during the clinic. Lastly, the National Bike Month events will end with the Urban Resturant Bicycle Hop from 6:00-10:00PM on Thursday, May 27 (again sponsored by City Bike Tampa). For more information on any of these events visit www.citybiketampa.com. But be sure to check them out!! !